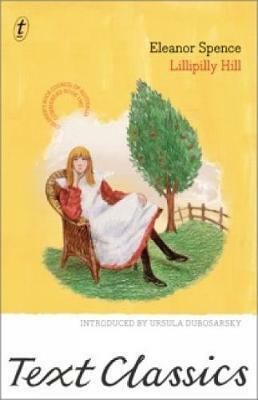 Eleanor Spence was one of my favourite authors when I was a young so I was excited when I heard Text were reissuing Lillipilly Hill. The spirited Harriet has moved with her family from England to Australia at the end of the 1800s and while Harriet has immediately fallen in love with the house they have inherited and the surrounding countryside, not all of her family shares her enthusiasm. Her headstrong ways often land her in trouble and her mother is worried that her children will turn into uncouth, undisciplined savages. A return to civilised England appears unavoidable but Harriet is desperate to stay. How can she achieve this in an era when young girls should be biddable and constrained? Harriet is a gutsy, likable girl who has to walk the fine line of her parents’ expectations and her own less restrictive yearnings. Spence appeared regularly in CBC awards in her career and was a highly regarded author so it is great to see Text offering her to a new generation. Lillipilly Hill is still a compelling read and the characters are well developed. Though the odd word may be a little dated, girls who have loved the Our Australian Girl series will find plenty to enjoy here.